Looking for experts? Check out Toptal’s QA engineers. What are exit criteria and how do you decide what they are? Theoretically, for some products and cases, testing activities could take enormous amounts of resources, and could also be impossible or impractical. In order to have a proper QA process—one where we can conclude with certain confidence that the product is ready for users—we need to be able to tell when we are done with testing. That is where we apply an exit criteria document, which lists the conditions that have to be met prior to the release of the product. Exit criteria are defined in the test planning phase and allow the QA managers and engineers to build an effective and efficient QA process that will conform to the pre-set conditions, thus ensuring the system being built is meeting the requirements and is delivered on time. Exit criteria can be comprised of: test case coverage, remaining issues by priority and/or severity, feature coverage, deadlines, business requirements, etc. From the example, we can see that the exit criteria need to be strict, yet reasonable. It may not be realistic to expect that 100 percent of all tests will be passing all the time, but we must ensure that there are no critical fails that would cause the system to malfunction or the user to not be able to use the system in an expected manner. What is software quality assurance and what is software quality control? Software quality assurance (SQA) represents all the activities and procedures that are focused on the whole process of software development. Its goal is to minimize the risks of causing defects and failures in the final product prior to its release. It is done by designing, implementing, and maintaining procedures that help developers and software testers do their jobs in the most efficient way. Software quality control (SQC), unlike SQA, is completely product-oriented. The goal of SQC is to perform testing activities on the final product to validate that the product that was developed is in accordance with the needs and expectations of the customer. What is the difference between severity and priority? Give examples of issues having high severity and low priority versus low severity and high priority. Issue severity and issue priority are important for proper issue management. Severity represents the harshness of the issue, while priority represents how urgently the issue should be resolved. Severity is a characteristic that is precisely defined as it is based on how the issue affects the end users. If the end user will be able to normally interact with the application and the normal use of the application is not obstructed, then the severity is low. But if the end user encounters application crashes or similar problems while using the application, the severity increases to high. On the other hand, the value for priority is defined by the individual judgment of a responsible person in accordance with the specified requirements. Usually, the priority increases as the issue is more reachable by the end user. Find top QA engineers today. Toptal can match you with the best engineers to finish your project. You have an input field that accepts an integer. The valid input is a positive two-digit integer. 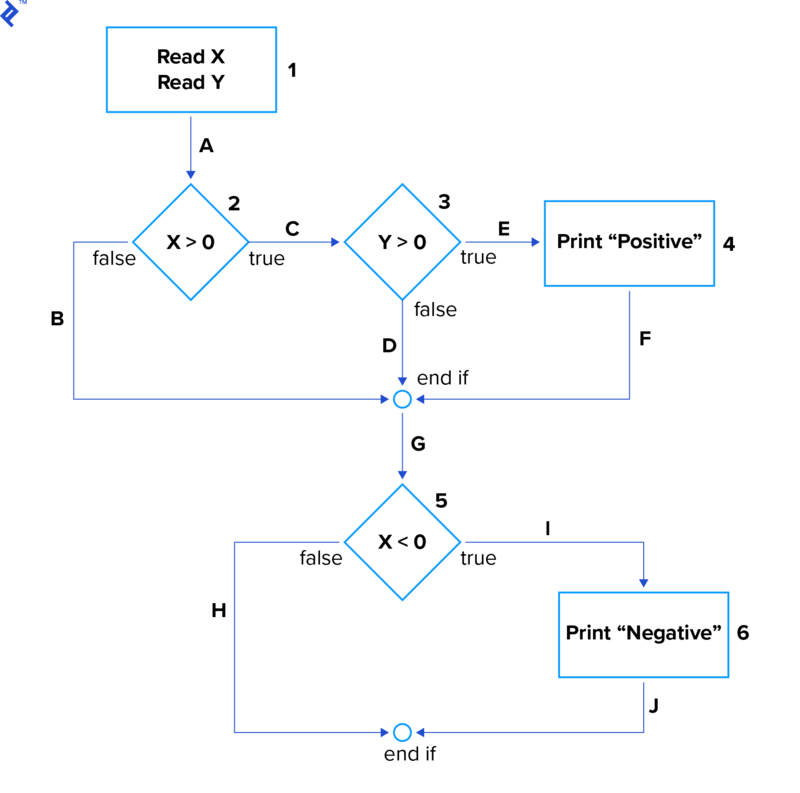 Specify test cases according to equivalence partitioning and boundary value analysis testing techniques. Quite often in QA, it is not feasible to test all the possible test cases for all scenarios. In the case of valid input being a positive two-digit integer, there are already 90 valid test cases, and there are many more invalid test cases. In such situations, we need a better way of choosing test cases, while making sure that all the scenarios are covered. Boundary value analysis testing is a software testing technique that uses the values of extremes or boundaries between partitions as inputs for test cases. In test automation, we use both assert and verify commands. What is the difference between them and when are they used? The essential part of testing is the validation of results. In test automation, throughout each test case, we make validation checks to assure that we are getting the right results. In order to perform those checks, for example by using Selenium [https://www.toptal.com/selenium/interview-questions] framework, we use the Assert* and Verify* classes of commands. Both assert and verify command groups check if the given conditions are true. The difference is what happens if the condition is false and the check fails. When an assert command fails, the code following it will not be executed and the test will break immediately. On the other hand, when a verify command fails, the code will continue with execution regardless. We use assert commands when the code following them depends on their success. E.g. we want to perform actions on a page only if we are logged in as an admin user. In that case, we will assert that the currently logged-in user equals the admin user, and test code will execute only if that condition is met—otherwise there’s no point, because we know we’re testing in the wrong environment. We use verify commands when the code after them can be executed regardless of the condition having been met. E.g. checking a web page title: We just want to make sure that the page title is as expected and we will log the outcome of the verify command. An incorrect title alone shouldn’t affect the rest of what’s being tested. 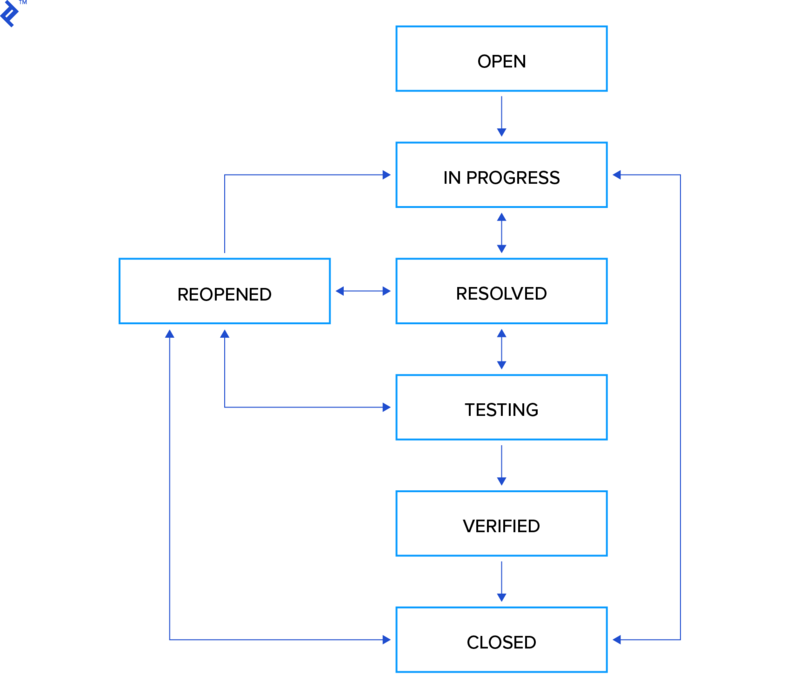 When a QA engineer creates a bug ticket, this ticket follows the sequence of states shown in the diagram from being created until it is verified and closed. If the resolution is not correct, the ticket may be moved back to an earlier state or reopened to prevent closure. If the ticket in state Reopened has been Closed, it can only be restored to the same state Reopened. If the ticket in state In progress has been Closed, it can only be restored to the same state In progress. Starting from Reopened, what is the number of 0-switch transitions and what is the number of allowed 1-switch transitions? That brings us to a total of four 0-switch transitions. We have a list of 10 possible 1-switch transitions starting from the Reopened state, but due to the limitation of the specification that states if the ticket in state Reopened has been Closed it can only be restored to the same state Reopened, we can label the last 1-switch transition as invalid. That leads us to the final count of nine 1-switch transitions. What is a requirements traceability matrix (RTM) and what are its advantages? An RTM is a document that shows the relationship between test cases (written by the QA engineer) and the business/technical requirements (specified by the client or the development team.) The principal idea of RTM is to ensure that all the requirements are covered with test cases, thus ensuring that no functionality is left untested. Using an RTM, we can confirm 100 percent test coverage of the business and technical requirements, as well as have a clear overview of defects and execution status. It undoubtedly highlights any missing requirements and/or discrepancies in the documentation. RTMs allow a deeper insight into QA work and the impact that going through test cases and re-working them has on QA engineers. Firstly we will make sure that the system we are building is working and that it has all the necessary parts according to the specified requirements. This process is called verification. After that, at the end of the software development process, we will focus our efforts on assuring that the system satisfies the needs and expectations of the end-user, in a process that we call validation. Both verification and validation are vital in the QA process as both will allow for recognizing defects in a different manner. Verification identifies defects in the specification documentation, while validation finds defects in the software implementation. When is test automation not desirable? Looking for QA experts? Check out Toptal’s QA engineers.